Paladin Danse, you seem familiar. The gruff voice, the commitment to duty, the giant sci-fi armour...where have I seen you before? Oh, right. 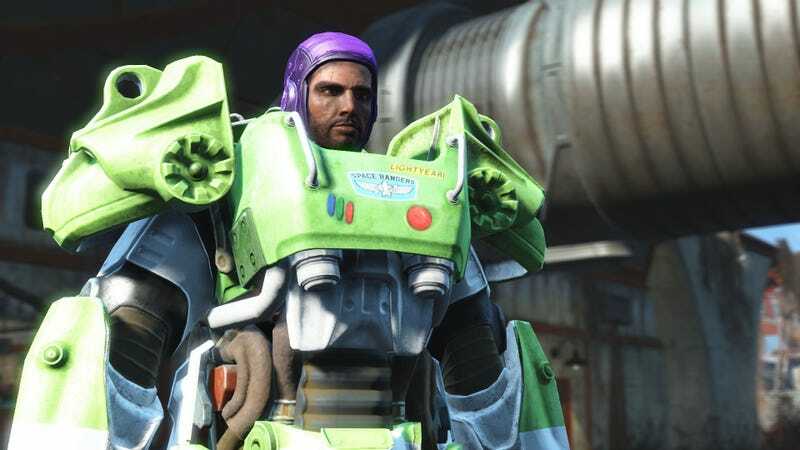 This mod by Trashlizard brings Danse’s Pixar doppleganger, Buzz Lightyear, into Fallout 4 by way of some custom power armour. All you need to do is set Dance to be your companion, equip him with the custom gear and you’re set. If someone could make a video of this mod in Spanish, I’d be eternally grateful.